A draft decree of the President of Ukraine to join the International Renewable Energy Agency Statute was approved by the Government on January 20, 2016. 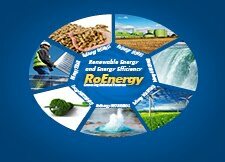 Ukraine's participation in IRENA is to obtain loans for renewable energy projects. Today, the fund has provided loans worth 98 million US dollars for 11 projects. With the accession of Ukraine will have access to information on renewable energy, the results of the latest research and best practices. Ukraine will also have access to the information available to IRENA, including progressive financing mechanisms for renewable energy. International Agency for Renewable Energy (hereinafter - IRENA) was established in 2011. - Data collection and compilation of statistics. IRENA have currently 145 countries.